Seth P. Hayes is a Member in the Coal, Education, and Energy industry group, focusing primarily on commercial litigation. He is the Managing Member of the Firm's Morgantown, Bridgeport, Martinsburg and Wheeling, West Virginia, offices. He practices out of the Firm’s office in Morgantown, West Virginia. Seth knows that in order to effectively represent his clients in litigation, it is critical to understand the business processes at issue in addition to the legal disputes. That’s why when he meets a new client, he dives in to the business, learning all he can. Rather than sitting behind a desk all day, Seth likes to get out and learn the facts of his cases firsthand, whether its examining longwalls in coal mines or fly ash silos in power plants. It’s this dedication to understanding his clients’ business that’s earned Seth recognition as one of The Best Lawyers in America® and a West Virginia Super Lawyer®. While Seth does all he can to help his clients avoid litigation, he is more than prepared to lead them through it. 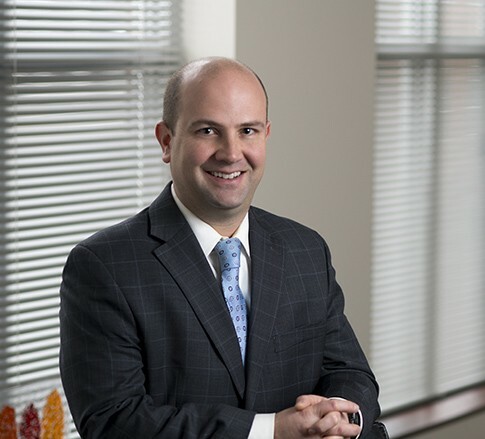 He is a tested trial attorney, having tried cases to jury, represented clients before commercial arbitration panels, and argued before of the Supreme Court of Appeals of West Virginia. A West Virginia University graduate, Seth enjoys going to Mountaineer sporting events and spending time hiking, camping, and skiing with his family. In fact, he loves the outdoors so much that he spent a summer in college working at Yellowstone National Park. He is a graduate of Leadership Monongalia and Leadership West Virginia and serves as vice president of the Board of Directors for United Way of Monongalia and Preston Counties. Served as both second chair and lead trial counsel in catastrophic loss litigation, commercial litigation, and condemnation actions. Successfully overturned a $1.2MM jury verdict for an energy company before the Supreme Court of Appeals of West Virginia. Served as lead trial counsel in a complex commercial arbitration dispute before an American Arbitration Association Commercial Arbitration Tribunal. Defended energy sector clients in litigation matters involving breach of lease agreements, breach of implied covenants, nuisance, trespass, right-of-way disputes, and injunctions against landowners. Member of defense team handling civil litigation arising from a mine explosion involving multiple fatalities. Represented a major university in civil litigation arising from its decision to realign with a different athletics conference. Defended clients in catastrophic loss litigation in West Virginia and Pennsylvania, including claims for personal injury, wrongful death, toxic torts, deliberate intent, premises liability, products liability, and workplace safety. Defended business clients as both plaintiffs and defendants in commercial disputes, including breach of contract, breach of fiduciary duty, fraud and misrepresentation, claims arising under the Uniform Commercial Code, tortious interference, and other business torts.